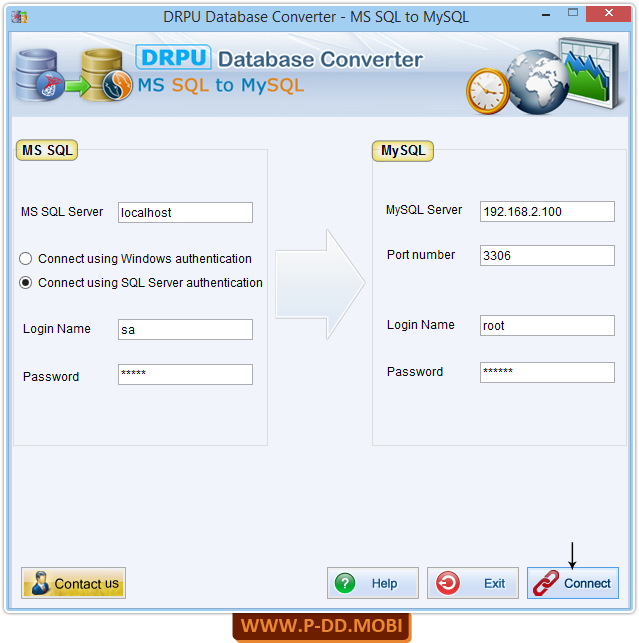 MSSQL to MySQL database converter software converts database records from MSSQL to MySQL database. Software provide option to convert views, indexes and stored procedures. Database Converter Software also provides option to convert database by selecting schema items manually. Database Migration tool easily converts selected database table’s records or entire database records from MSSQL to MySQL database server. Software overwrites converted database records with existing database of MySQL or saves the converted database records at user specified location. 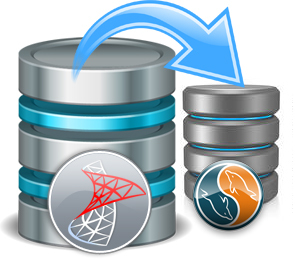 Utility converts Microsoft SQL database to MySQL database server records. Connect MS SQL and MySQL server locally or remotely. Convert views, stored procedures, Indexes with all necessary attributes. Provide database integrity after conversion of the database records. Select Schemas automatically or manually. All major MS SQL data types and attributes are supported.